Obituary for Kimberly Joy Stepien | Jobe Funeral Home & Crematory, Inc.
Kimberly Joy Stepien; 02/15/74-11/05/2018. Born to her mother, Mary Kay Stepien in West Penn Hospital, she got the middle name Joy, because of how much Joy her mother had to be pregnant after so many failed attempts. Kimberly secretly spent the first year of her life living in Cleveland. After that year, that her brothers would never let her live down, she settled down in Monroeville, PA. As a kid, she attended St. Bernadette School till 8th Grade. She enjoyed playing basketball for the Sabers, and had a healthy fear of Sister Carol while there. At this time she developed an obsession for the professional basketball player, Larry Bird…who may have been her first crush. It was also during this time at which she became a Girl Scout, and spent many hours at retreats with her mother. Kimberly was a very determined child. One time she wanted a teddy bear in the store, and laid on top of it until her mother bought it. Another time as a child she stuck corn kernels up her nose, and when it came time to remove them with a rubber hose, she booked down the hall and made all the doctors and nurses chase her. She continued the next part of her education at Gateway Senior High School. During this time, she played softball, got her license, and acquired a job at TJ Maxx. She graduated in 1992, and moved on to Duquesne University to study psychology. While she was in college, she worked the overnight shifts and weekends at Denny’s in Monroeville in order to make ends meet and get her degree. Her mother also worked two jobs to help her along the way. She graduated from Duquesne University in December of 1996. Her prized possession, she wore her Duquesne ring for the rest of her life with pride. She always talked of going to graduate school to become a teacher, but never let it come to fruition. That job at Denny’s ended up lasting her the next 15 years, where she ascended to become a supervisor. After that she worked many different places as a server within the Mon Valley, the last of which being Drew’s in Forest Hills. She made many great friends along the way at all the restaurants. Kim had an absolute love for reading the paper every day. She followed the Steelers, Penguins, and Pirates fanatically. The family shared season tickets for the Steelers and she attended many games. Her passion for travel and the beach always made her smile. She was supposed to leave for a cruise on October 24th, but was hospitalized since September 18, 2018. She was looking forward to climbing the wall on the Royal Caribbean ship. The last trip she went on was in 2015 to Hawaii. Her entire family of 19 had the pleasure of flying over together on the same plane. The only person who didn’t enjoy it, was the 20th person who was lucky enough to sit between our family on the plane. She didn’t enjoy the fake mustaches, google eyes, and beach balls that sometimes hit her on the head. Kim loved every second of it! Many great family photos were taken that will last a life time! Kim also enjoyed the family’s yearly trip to Cooks Forrest for 35 consecutive years. Macbeth’s Cabins hold a special place in our hearts, and the memories will last a lifetime. The Golden Arm story only scares us more now! We missed the first year this year as Kim was in the hospital. Her hospital stay lasted almost 8 weeks. Never once in that period of time did her mother miss one day. She wasn’t alone though. Our family was incredibly blessed ten years ago, when Mary Kay found her significant other, Don Trudgen to keep her grounded and back her up. Mary Kay was also backed up by her sister Patty and her husband John, who is also Kim’s Godfather. Her boyfriend Merle Mansell of 10 years was also passionately by her side till the end, as well as her best friend in the entire world, Clyed Miller. She also received visits by her brother PR and his wife Crystal, who was kind enough to do Kim’s nails and manage the worst case of bed head ever seen. Fortunately for many people out there, they will never be up against a force that they can’t overcome. Unfortunately for Kim, she could not overcome the challenge of alcohol addiction. Her family tried for many years to get her treatment, but Kim was too strong willed to accept the help. That addiction has robbed Mary Kay Stepien and Don Trudgen of a daughter; Tim (Kirsten) and PR (Crystal) of a sister; Cassandra, Chase, Hines, Jade, Bentley and Jewel of an aunt; Patty (John) Gombita, Mary Jo (late Larry), Bernice (late Michael) Stepien, Eddie (Diane) Stepien, Ellen (late Dave) Arthrell, and James (Kate) Stepien of a niece; Heather (Arnold) Graham, Shawna (Chris) Runt, George Reilly, Sean Reilly, Jennifer (Paul) Maener, Michelle Stepien, Nikole (Britney) Kelley, Anna Arthrell, and Krystal (Dan) Deiuliis of a cousin; and Merle Mansell of a girlfriend of 10 years. She was also preceded in death by her uncle who loved her very dearly, the late great James Wagner only 11 months earlier. Addiction robbed all these people of a family member, and all of you reading of a friend. Thank you to those of you who checked in on Kim at the end of her life. Some people traveled from far away like her brother Tim and cousin Shawna. Others could not make it in person, but still reached out to express their love. Kim will be missed by her friends at the South Wilmerding Social Club. There isn’t always an answer to the why things happen. Kim fought hard to beat the bottle. In the last year of her life, she went through classes and got her license back after 12 years. She was very proud to show her mother and brother it this past Labor Day. She is free from her addiction now. That freedom allows her to love herself again. That same freedom makes us miss her dearly. In lieu of flowers or donations, have a conversation with someone who is stuck with an addiction. Tell them they aren’t alone and offer them Kim’s story. Maybe one person can benefit from the monumental loss we have all suffered. Family and friends will be received Thursday from 1 p.m. until time of service at 6:30 p.m. at the JOBE FUNERAL HOME & CREMATORY, INC. (MONROEVILLE/PLUM CHAPEL) corner of Beatty Rd. 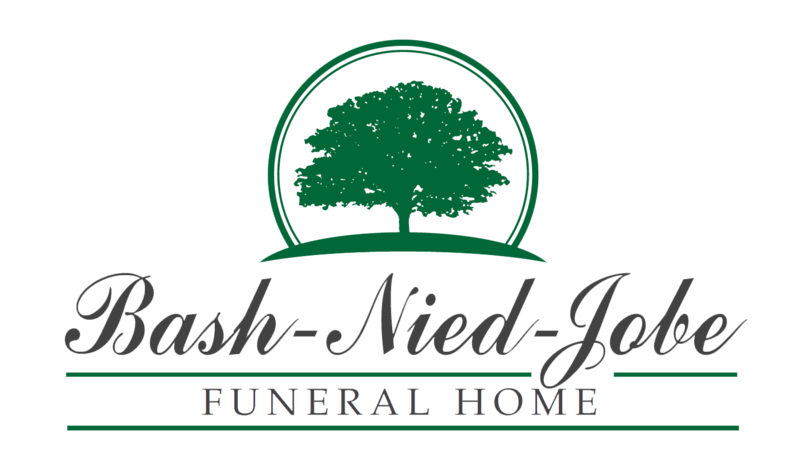 & 48 North, Monroeville (412-856-4747) www.jobefuneralhome.com.